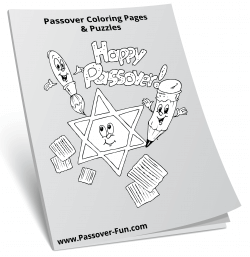 Passover Fun » About Passover » Why do Jews not eat Bread on Passover? Why do Jews not eat Bread on Passover? During the holiday of Passover, the Jewish people are not allowed to eat or even to own anything leavened. Leavened products are grain products that were allowed to stand or rise for more than 18 minutes prior to being thoroughly cooked. This includes bread. This is because there is a direct commandment in the Torah, although some people follow it simply because it is now tradition and ritual. The first commandment about leavened products, called “chametz,” is found in Exodus 12:15. This requires that all such items must be removed from one’s home before Passover begins. There are many different ways of doing this. Some people make sure to eat up all their leavened products, including bread, pasta, and crackers, before Passover begins. Some people will take whatever is left outside and burn it (although some people will simply throw it in a communal trash bin). 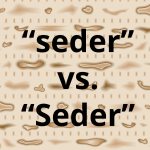 Still other people, who have too many leavened products to easily eat them before Passover, will sell them to a person who is not Jewish and will buy them back again after the holiday. Often, the rabbi of the community does this last option and you have only to tell him where all your leavened products are kept, then to seal off those cabinets or freezers and say that their contents no longer belong to you. In Exodus 12:19 and Deuteronomy 16:4, we learn that one cannot have any leavened products in their home, car, office, or any other space they own, during the holiday of Passover. Thus, even if someone gives a Jewish person a gift of bread on Passover, they must throw it out or burn it immediately. Many people take this very seriously and will clean their houses very well before Passover just in case. 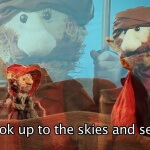 Finally, there is the commandment not to eat any leavened food on Passover – including bread – which is found in Exodus 12:20, Exodus 13:3, and Deuteronomy 16:3. This includes even things that might have something leavened mixed into them, such as some food that is covered in breadcrumbs. This also means that even if the Jewish person does not own the bread and the bread is not in their car or home, they still cannot eat it during Passover. 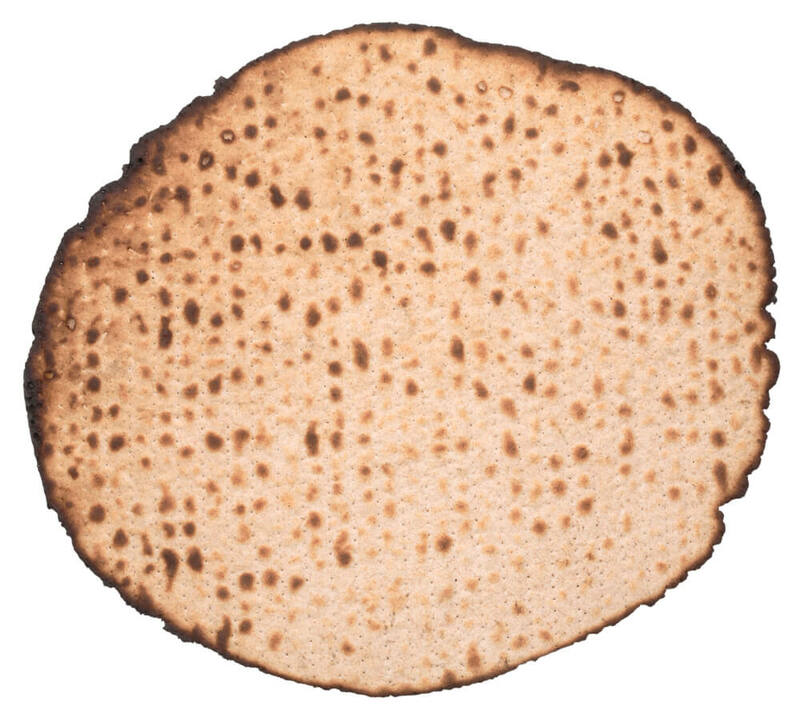 Instead of owning and eating bread on Passover, Jewish people will eat a special kind of unleavened cracker, called a matzoh. This matzoh is made only from flour and water and is made in 18 minutes or less from start to finish. This way, it does not have time to rise. However, not every Jewish person is religious. Many people refrain from eating bread simply because it is a Jewish Passover tradition. By eating matzohs during the week of Passover, they may feel more connected to their ancestors or their families. They may also feel a stronger spiritual connection to G-d. Whichever of these reasons your Jewish friends choose for not eating bread on Passover, you will find that this is a very special and important thing for them to do.